CNN’s Jake Tapper called out Democrats Monday for their support of Nation of Islam leader Louis Farrakhan, who is openly anti-Semitic. Tapper played a clip of Farrakhan’s anti-Semitic speech from last week in which he said Jews “were responsible for all of this filth and degenerate behavior that Hollywood is putting out, turning men into women and women into men." Tapper emphasized that in spite of "the anti-semitism and homophobia inherent in that clip," several Women's March leaders and Congressional Black Caucus member refused to denounce Farrakhan, something he also called them out for on Twitter this past weekend. "Why is it so tough for some people to condemn a rabid anti-Semite who is also a misogynist and anti-LGBTQ?" Tapper wondered. He also brought up the vice chairman of the Democratic National Committee, Rep. Keith Ellison’s (D-MN) ties to Farrakhan, including the Wall Street Journal’s reporting that he attended a private dinner with him in 2013. 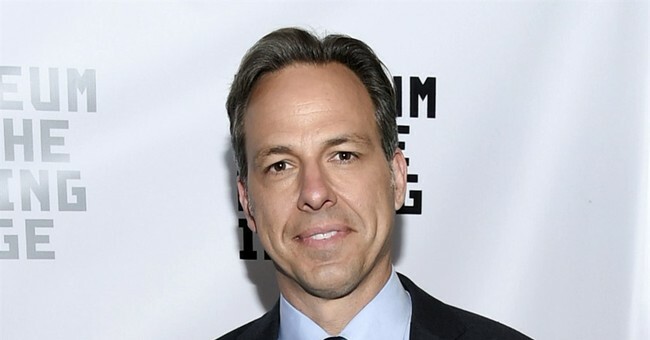 Tapper added that, a year after Obama left office, a journalist admitted that he suppressed a photo of then-Illinois Senator Barack Obama with Farrakhan at a Congressional Black Caucus meeting that he took in 2005 due to fears that it would affect Obama’s ultimately successful Presidential bid. "People want to have the association, but they don't want to get dinged for it publicly," Tapper reflected.